How to install Android on HP TouchPad ? How to install honeycomb on TouchPad? Now the HP TouchPad dropped the price until USD 99. Many users bought them home and waiting for this solution. 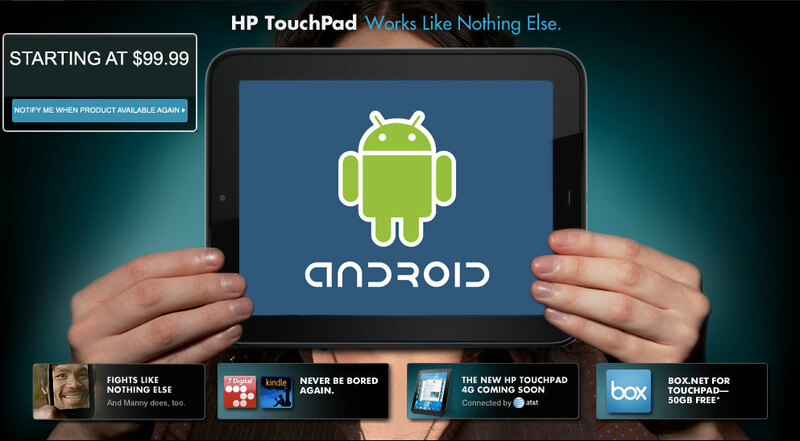 I think the Adnroid for the HP TouchPad device will be available soon. Thomas Sohmers is working on it via Twitter. He has uploaded the system dump. I will update when they release the first beta. Thier developing page is here.